Steve continued our research on the endangered North American badger, this time by examining the winter habits of the animal. This is an aspect of badger ecology that has received relatively little focus. 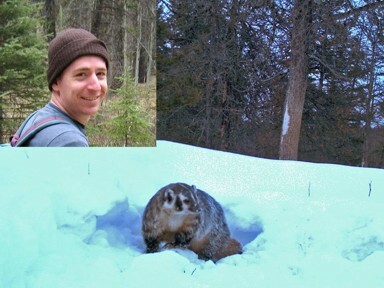 Steve worked in north-central BC, where winters are normally quite harsh, and badgers may be forced to forage overwinter on a regular basis. Part of his thesis also involved examining the burrows that the animals select during this time of year, and whether they differ in location or construction from that used by the animals at other times of the year. Partners on this project were Roger Packham with the BC Ministry of Environment, and the BC Ministry of Transportation & Infrastructure.